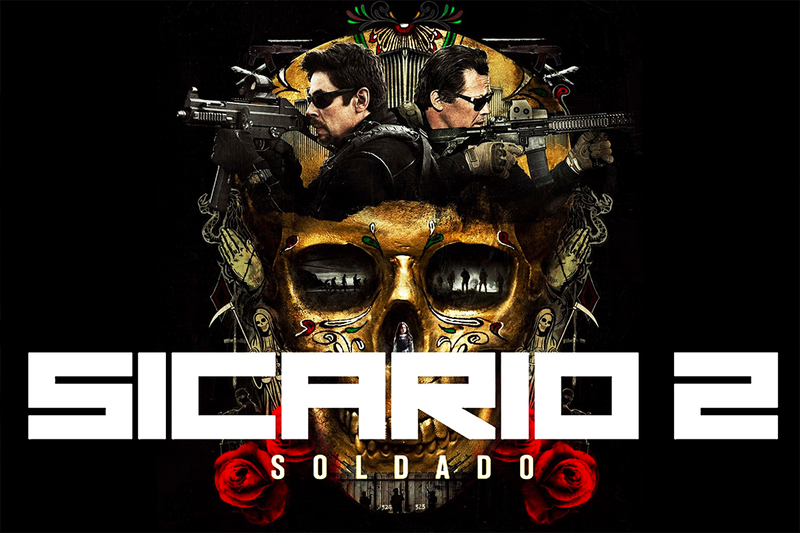 In 2015, acclaimed director Denis Villeneuve spoiled us all rotten by giving us the treat of Sicario, a thrilling masterpiece following an idealistic FBI agent enlisted by a government task force to aid in the escalating war against drugs at the US/Mexico border. The film was a phenomenal success critically and financially, and yet, it never seemed like it would be the sort of film to earn a sequel. Despite the marketing, it wasn’t an “action thriller” – it was actually a very powerful slow-burner of dread and tension. But hey, Hollywood saw dollar signs and made another. Written, again, by Taylor Sheridan, and directed by Gomorrah’s Stefano Sollima, this is Sicario 2: Soldado. First of all, this isn’t a “sequel” in the traditional sense. The film has absolutely no narrative links with the first film, and the first film’s protagonist doesn’t return. CIA Special Activities Division officer Matt Graver (Josh Brolin) and mercenary Alejandro Gillick (Benicio del Toro) both return, this time battling the Mexican drug cartels new habit of trafficking terrorists into the US, but this is a thoroughly Emily Blunt-less affair. While the film is certainly hauntingly relevant in its dark portrayal of terrorism, the film doesn’t have quite as much to say as the first. While Sicario was a slow-burning drama on top of anything else, this surprisingly good sequel has a lot more action and gunplay. This is reinforced by the machine-gun toting ‘heroes’ on the front cover/poster, whereas the original film’s cover was a little more reserved. But don’t worry – Michael Bay this is not. There’s still plenty of time for political drama and tension, with Hildur Guðnadóttir’s score echoing the late Jóhann Jóhannsson’s admirably in those haunting moments of darkness. Brolin and del Toro are both absolutely fantastic here – I could watch a hundred Sicario films with these two guys. Support in Soldado comes from the great Catherine Keener as Brolin’s boss, Jeffrey Donovan returns as minor character Steve Forsing and Manuel Garcia-Rulfo as Gallo. But the true break-out star from the supporting cast is Isabela Moner, who absolutely steals the film as Isabel Reyes, the daughter of a violent kingpin, who our ‘heroes’ kidnap in a false flag operation in order to start a war between the cartels. I absolutely loved Sicario 2. Despite being pretty unnecessary, the film actually surprised me by arguably matching the first film in terms of entertainment value – even if it does go in a slightly different direction in terms of genre. This isn’t so much an understated character study like the first film as it is an explosive thrill-ride through cartel conflict. Still, I would consider it one of 2018’s finest films and one that I cannot recommend enough – especially to fans of the first film. I know a lot of fans dismissed this due to how unnecessary it was, and I understand why you would – but if you give it a try, I think you’ll be pleasantly surprised. Hell, I was blown away by it. Sicario 2 is a perfect example of how to do a sequel – even if it’s for a film that didn’t need one!